The Summer Olympic Games cannot be imagined without a rivalry between Russian and American track and field athletes, Russia's Sports Minister Vitaly Mutko said. "Track and field athletics is the queen of sport. [Athletes] will compete for 47 medals [at the Olympic Games]. I will also say that I cannot imagine any tournament without a rivalry between American and Russian athletes. This enriches any tournament," Mutko told the Match TV television station on Jan. 19. It is necessary to take a calm approach to tackling problems that have accumulated in Russia's track and field athletics, he said, adding that the new leadership of the Russian Athletics Federation was elected on Jan. 17 for this job. "We determined a circle of potential candidates to go to Rio. Around 60-70 athletes, who will have to systemically prepare for the Olympic Games," Mutko said. Since the Russian Athletics Federation has been suspended, Russian track and field athletes are currently unable to take part in international competitions, the minister said. In response to this, a 'Grand Prix' system has been developed inside Russia to allow athletes to prepare for the Olympic Games. Its final part will be the Championship of Russia in March, where all leaders of the national team will compete. "The athletes have been provided with everything they need. We have not closed centers abroad, and a number of national team members have trained in Portugal," Mutko said. 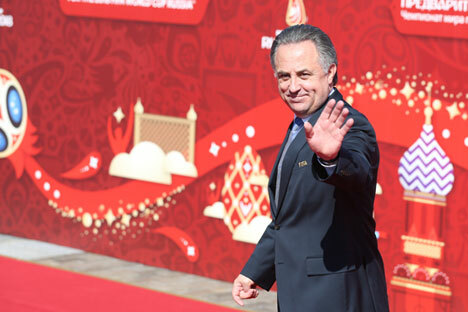 The new leadership of the Russian Athletics Federation will be introduced to Russian athletes on Jan. 20, Mutko said, adding that the Russian team includes a number of world-class athletes.